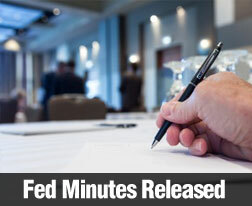 The Federal Reserve’s Federal Open Market Committee released its customary after-meeting statement on Wednesday. In the context of meeting its dual mandate of stabilizing pricing and achieving maximum employment. The FOMC statement indicated that although the economy has improved in areas including household spending and labor market conditions, the national unemployment rate remains high and the housing market recovery has slowed. The FOMC statement said that current fiscal policy and “retrenchment” is restraining economic growth as evidenced by failure to achieve benchmarks set by FOMC as indicators of a healthy economy. Benchmarks include a national unemployment rate no higher than 6.50 percent and achieving an inflation rate of 2.00 percent. September’s unemployment rate was 7.20 percent and inflation has run consistently below the FOMC objective. Not to be confused with the FOMC statement’s references to monetary policy, the term fiscal policy refers to the government’s budgetary policy. While the Fed cited “moderate economic growth,” the FOMC statement clearly indicated that the committee is not ready to alter its current policy of quantitative easing and estimates that it will maintain the target federal funds rate at between 0.00 percent and 0.250 percent for a considerable time after the QE bond-buying program is phased out. The Federal Reserve currently purchases $40 billion per month in mortgage-backed securities and $45 billion in Treasury securities as part of its QE program. The Fed will also continue its existing policy of reinvesting principal payments it receives on holdings of agency debt and MBS, as well as selling maturing Treasury securities at auction. These activities are part of FOMC’s strategy for supporting low mortgage rates and mortgage markets while making “broader financial conditions more accommodative.” The Fed expects these measures to assist with a stronger economic recovery and stabilizing inflation at the Fed’s target rate. FOMC reasserted its position that any decision to alter current QE policy is not solely subject to economic benchmarks, but will be based on the Committee’s close review of labor market conditions, inflation pressures, and financial developments. FOMC commented in its statement that it will continue to review economic and financial conditions in the “coming months” and will decide when to taper its monthly asset purchase according to what is learned. This suggests that changes to the present QE policy are not anticipated for several months, and that the effects of QE combined with dampened speculation may help with keeping mortgage rates lower. 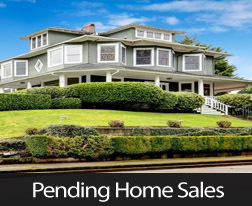 Pending home sales fell in September by -5.60 percent, and were 1.20 percent lower year-over-year. This is the first time in more than two years that pending home sales have fallen below year-earlier readings. September’s reading was below August’s reading of -1.60 percent. The National Association of REALTORS®, which released the report, expects lower home sales for the fourth quarter of 2013 and flat sales into 2014. NAR provided good news in its forecast of 10 percent growth in existing home sales in 2013 as compared to 2012. A spike in mortgage rates in August coupled with rapidly rising home prices were seen as major factors leading to lower pending sales. Real estate analysis firm CoreLogic has reported that August home prices were 12.4 percent higher than for the previous 12 months; this was the fastest annual growth rate for home prices since February 2006. While positive news for homeowners and housing markets, rapidly rising home prices can cause some buyers to postpone or cancel their plans for purchasing a home. In addition to higher mortgage rates and home prices, recent concerns of investors and consumers about the government shutdown and its consequences were noted as factors contributing to lower pending home sales. High unemployment rates are a lingering influence, as would-be home buyers waver in their decisions to take on a long-term obligation when unemployment rates remain higher than normal and job security is questionable. The Federal Open Market Committee of the Federal Reserve meets this week and is expected to maintain its current level of $85 billion per month in Treasury securities and mortgage-backed securities. The fed’s program is intended to keep long-term interest rates, including mortgage rates, low as a means of supporting the economic recovery. Mortgage rates are affected by bond prices; if the fed reduces its monthly bond purchases, demand for bonds would fall, and mortgage rates would be expected to rise. Mortgage rates spiked in August on expectations that the FOMC would taper its monthly bond-buying, but have since trended lower. Federal government agencies issued reports that were delayed by the government shutdown; and Freddie Mac reported that average mortgage rates fell for all types of loans it reports. 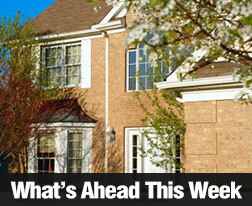 The National Association of REALTORS issued its Existing Home Sales report on Monday. While 5.30 million home sales were expected an annual basis, September’s reading fell short at 5.29 million sales. August’s reading was adjusted from an original reading of 5.48 million, which equaled July’s reading. Higher mortgage rates and home prices were cited as contributing to the slip in September’s sales. The Bureau of Labor Statistics issued the Nonfarm Payrolls report for September on Tuesday. September’s reading indicated that only 148,000 jobs were created as compared to economists’ expectations of 185,000 jobs and August’s reading of 173,000 new jobs. Analysts indicated that the modest reading for September was caused by uncertainty over the government shutdown, and also indicated that the economy is growing, but continues to experience ups and downs. The national unemployment rate for September fell from August’s reading of 7.30 percent to 7.20 percent. According to the Commerce Department, construction spending rose by 0.60 percent in August as compared to expectations of 0.50 percent and July’s revised reading of 1.40 percent, of which 1.20 percent represented spending on residential construction. The Federal Reserve characterized residential construction as growing at a “moderate pace” in September. 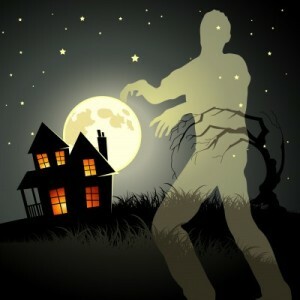 The Federal Housing Finance Agency reported that August sales of homes connected with Fannie Mae and Freddie Mac grew by 8.50 percent on a seasonally adjusted year-over-year basis. This represented monthly growth of 0.30 percent and was the smallest rise since September 2012. Thursday brought encouraging news with Freddie Mac’s Primary Mortgage Market Survey. Average mortgage rates fell across the board with the average rates for a 30-year fixed rate mortgage falling from last week’s 4.28 percent to 4.13 percent. The rate for a 15-year fixed rate mortgage dropped from 3.33 percent to 3.24 percent, and the rate for a 5/1 adjustable rate mortgage dropped from 3.07 percent to 3.00 percent. Discount points rose to 0.8 percent for 30 and 15-year fixed rate mortgages and stayed steady for 5/1 adjustable rate mortgages at 0.4 percent. Weekly Jobless claims were higher than expected at 350,000 new claims; analysts had expected 337,000 new claims. The latest reading was below the prior reading of 362,000 new jobless claims. The University of Michigan’s Consumer Sentiment Index was released Friday with some telling results. October’s reading 73.2 from September’s revised reading of 77.5. A reading of 74.8 had been expected based on September’s original reading of 75.2. Consumers interviewed for the October CSI indicated that the federal government was the major factor in lower confidence in the economy. A number of federal agencies are still delaying their reports. Next week’s scheduled economic news includes the Case-Shiller Housing Market Index, Consumer Confidence report and ADP’s Employment Report. Weekly Jobless Claims and the Freddie Mac PMMS will be issued Thursday. Refinancing a mortgage is a golden opportunity to lock in today’s low interest rate for the next 15 or 30 years. While interest rates now are still low, there’s a good chance they will be heading up in the coming months. The Fed won’t maintain the current bond purchasing level forever, and just as rates spiked in September when the Fed hinted the bond purchasing would change, rates will spike even more when purchasing levels actually do change. 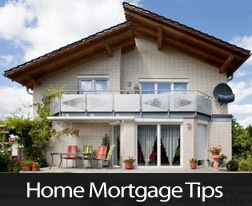 As interest rates remain very low for 30-year and 15-year mortgages, homeowners can benefit greatly from a refinance. Several types of people in particular should consider refinancing. Anyone with an interest rate well above today’s level should think about a refinance. Unless the homeowner is planning to sell within the next few years, a refinance will almost always save money in the long run if the rate can be lowered by at least a percent. Given that FHA mortgages now carry mortgage insurance premiums for the life of the loan, it makes a lot of sense for borrowers to switch away from them when they can. Refinancing may be possible once the homeowner has built up enough equity to qualify for a mortgage from a traditional lender, without the burden of mortgage insurance. The low rate of an adjustable rate mortgage sticks only for the first few years of the mortgage. After this point, the rate adjusts each year based on market trends. Rather than paying the adjusted rate, which is almost always higher, homeowners can refinance into a new fixed rate mortgage to lock in one of today’s low fixed rates for the duration of the mortgage. Homeowners carrying high-interest debt, like credit cards and personal loans, can often benefit from consolidating it into their mortgage. As long as they maintain at least 20 percent equity in their home, they can get a cash-out refinance for an amount higher than their current mortgage balance. They can then use the difference to pay off high-interest debt. I have a couple of lenders to recommend, who have served me well for the past decade or two. Shoot me an email or give me a call if you’d like their contact info. Comments Off on Why Should One Consider Refinancing Their Mortgage Now? If you are looking to buy a home, you might be wondering whether you should be looking for properties that are right in the center of the city or property in a rural area a short drive away. The rural or urban decision will ultimately be up to you, as there are advantages and disadvantages to either option. The main difference will lie in your priorities – what type of lifestyle is most important to you? One of the main perks of buying a property that is located in the heart of the city is that you may be able to enjoy convenient public transportation and you won’t have to use a car to get everywhere. You are likely to have a shopping center and a supermarket within walking distance of your home, as well as other important amenities such as a doctor’s office, a pharmacy, a post office and more. Also, if you enjoy attending concerts, visiting art galleries or enjoying other artistic events, you will find many more of these concentrated in the city center. You will also enjoy more options when it comes to shopping. Of course, living in the city center means that property prices are usually a lot higher and you will likely end up with a lot less space for your money. Your kids might not have as much room to run around (unless you find a home near an urban park or a playground). Also, the hectic pace of the city, with all the traffic and high rise buildings, can be stressful for some. When you buy a home just a few miles outside of the city, you will find yourself experiencing a completely different lifestyle. You will be a lot closer to nature, with plenty of walking trails and wild areas right outside your door. The air will likely be cleaner and you will be able to see the stars better at night time. Many people feel safer letting their children play outside in the countryside and the cost of housing is usually lower than in the high density downtown core. Some people also prefer the peace and quiet of the city and would much rather go for a walk in the woods or have a campfire than attend a cultural event – so the country is the right place for them. Of course, possible disadvantages of rural life is that it can be inconvenient and time consuming to drive into town to get supplies or to meet up with friends. You must own a car in order to get around, as the public transportation system will not be as good as it is in the inner city. 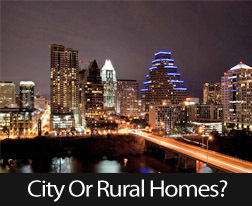 These are just a few factors to consider when determining whether you would choose the city life or the country life. Comments Off on City Lights Or Starlit Nights, What Home Location Is Best? Existing home sales for September fell by 1.90 percent from August’s revised reading of 5.39 million sales to 5.29 million sales. Economists had expected 5.30 million sales for September, so a slow-down in existing home sales had been anticipated. The National Association of REALTORS cited higher home prices and mortgage rates as factors contributing to fewer sales of previously owned homes. According to Lawrence Yun, NAR’s chief economist, home prices “easily outpaced income growth.” Consequently, affordability has fallen to a five-year low. Mr. Yun also indicated that a government shutdown was expected to affect home sales in October. NAR also cited a “notable increase” in federal flood insurance premiums as a deterrent to homebuyers in flood zones. The premium increase was set for October 1. There is some good news. 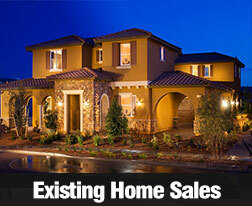 The NAR reported that existing home sales had increased from 4.78 million in September 2012. As compared to the reading for September 2013, this was an annual increase of 10.70 percent in existing home sales. This increase represented the 27th consecutive month for increasing sales of existing homes on a year-over-year basis. the 10th consecutive month of double-digit year-over-year increases in existing home prices. NAR estimated that it would take five months to sell the 2.21 million previously owned homes currently available, which indicates that available existing homes remain in short supply. Sales of distressed properties rose to 14.00 percent share of existing home sales, up from August’s share of 12.00 percent. August’s level was the lowest share of distressed properties sold since NAR began tracking monthly sales of distressed properties in October 2008. Sales of distressed properties during September included 9.00 percent foreclosed properties and 5.00 percent short sales. Distressed properties typically sell for less than market value; fewer distressed properties included in existing homes for sale would contribute to higher prices. September’s percentage of distressed sales is down by 10 percent year-over-year. Many of the economic and housing reports typically scheduled were delayed by the federal government shutdown. The National Association of Homebuilders Wells Fargo Housing Market Index for October was released Wednesday with a reading of 55, lower than the projected 58 and previous month’s revised reading of 57. 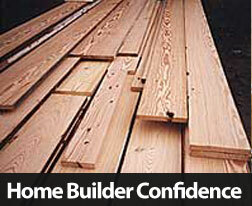 The original reading for September was 58, which was the highest measure of builder confidence since 2005. NAHB cited concerns over mortgage rates and the federal government shutdown and its consequences as reasons for homebuilder confidence slipping. While the NAHB HMI reading was lower than last month, it remains in positive territory as any reading over 50 indicates that more home builders are confident about housing market conditions than those who are not. Pent-up demand for homes is fueling home builder confidence, which grew by 34 percent over the past year and exceeded the rate of home construction growth. The Census Bureau was unable to release data on housing starts for September. NAHB released a report estimating September housing starts would be approximately 900,000 units on a seasonally-adjusted annual basis. Single family home construction is expanding while multi-family home construction remains volatile. The NAHB report estimates single-family housing starts for September at between 620,000 and 630,000 homes annually. The Fed released its “Beige Book” survey of its 12 banking districts on Wednesday. eight districts reported little or no change in economic conditions and 4 districts reported slower economic growth for September and October. Real estate and home construction were improved, although several Fed districts reported concerns over rising mortgage rates. The Beige Book report was based on data gathered October 7, one week after the government shutdown began. Freddie Mac reported increases in average mortgage rates; the rate for a 30-year fixed rate mortgage was 4.28 percent with discount points unchanged at 0.70 percent.This was five basis points higher than the previous week. The rate for a 15-year fixed rate mortgage rose by two basis points to 3.33 percent. The average rate for a 5/1 adjustable rate mortgage rose by two basis points to 3.07 percent. Discount points for both 15 year mortgages and 5/1 adjustable rate mortgages were unchanged at 0.70 percent and 0.40 percent respectively. Weekly jobless claims reported on Thursday rose from the prior week. 358,000 new jobless claims were filed as compared to the expected number of 335,000. During the prior week, 373,000 new jobless claims were filed. The latest data was from the week of October 7, the second week the government was shut down. Some federal agencies have given dates for releasing data delayed by the shutdown. These included Nonfarm Payrolls and the Unemployment rate for September, which are set for release October 22. The Consumer Price Index and Core CPI for September are scheduled for October 30. The kids are back in school, the weather is getting cooler and your yard is covered in a layer of fallen leaves. Yep, it’s that time of the year again, but don’t think of fall leaves as a chore. They can be a useful resource for fertilizing your lawn or even decorating your home for autumn. It’s tempting to just let the leaves lie in the yard. It’s good fertilizer anyway, right? Wrong. You should rake everything up as soon as the trees begin to look bare, or else risk the blanket of leaves smothering your lawn over the winter season. Gather them up in plastic bags and put them to use. If you can’t bring yourself to pick up a rake, you do have an alternative. Wait until the leaves are dry and crunchy and fire up the lawnmower once more before winter. 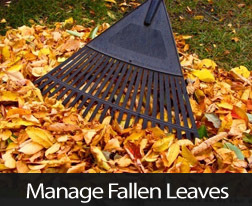 Many mowers have a mulch setting that will chop the fallen leaves to bits. The smaller pieces won’t suffocate your lawn, and the crushed leaves make a good fertilizer. If you’d rather use the leaf bits in the garden or a flowerbed, use a grass clipping catcher with your mower to gather up the pieces as you mow. Fresh chopped leaves are a good homemade mulch. Put a layer on the garden and the flower bed to replenish the soil over winter. Also, be sure to put a thick layer around young trees and shrubs to keep them warm. If you really want to get the most out of your leaves, then take them to the compost pile. Mix the leaves in with the regular green yard waste, and the leaves will boost the composting process into overdrive. The fully composted material makes a potent fertilizer. Set some leaves aside to take indoors. The changing colors of the fall leaves are part of the beauty of autumn. Why not bring some of that beauty into the house? Fill a vase with leaves for a seasonal centerpiece, or use a wire frame to make a wreath for the front door. You can make leaf etchings with the kids or simply use one as a bookmark. It’s sad to see so many fall leaves burned up in piles, or put out with the trash. The leaves on the lawn aren’t just a mess to be cleaned up. Inside or outdoors, autumn leaves are an easy, natural, and free material. Be sure to put them to use!